I almost never feel like I can participate in Kelly’s Show Us Your Life series simply because I am in a different stage of life than most of her readers (ie I don’t have kids). That’s not a big deal, but when I saw today’s post, I absolutely had to join in. It’s all about what books we are reading during this winter season. 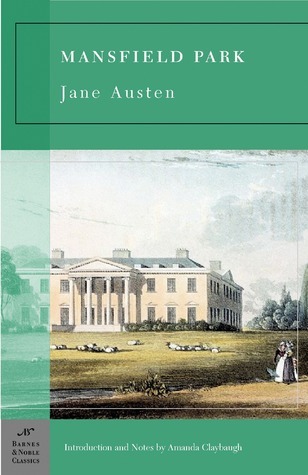 Mansfield Park by Jane Austen (currently reading). A couple of years ago I went on a Jane Austen kick and read Emma, Persuasion, and Northanger Abbey in a few months. I enjoyed all three of those. I don’t know why I’m struggling with Mansfield Park – I enjoy the writing and the plot. Austen isn’t hard to read, but it does take a lot of focus because it’s writing that isn’t employed anymore so my brain has to be totally engaged in the reading process. It’s interesting to note that the social dynamics haven’t really changed that much since Austen’s time, which is why I think I find her works so enjoyable – I see these characters living lives around me every day. Part of me wants to scratch it and start it over at the beginning of the year. We’ll see. But I will probably give it one more go after doing some reading of summaries to remind me of what I have already read. 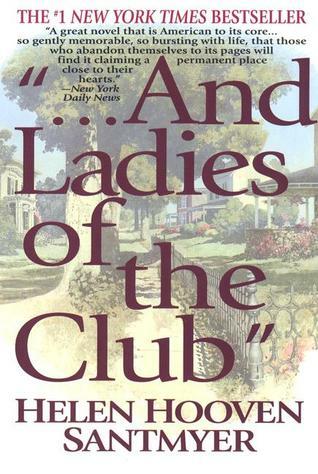 … And Ladies of the Club by Helen Hooven Santmeyer (currently reading). This book is also taking me forever to read, but to my credit it’s 1,100+ pages long. I’m glad I finally took it off my bookshelf (it’s been there for quite some time!). I’ve been reading it for a while and I’m enjoy the historical elements woven into the novel. In some ways, it reminds me of A Tree Grows in Brooklyn, in that it is not a plot-driven novel; rather, it’s a character-driven one. This is hard to do when you have a large cast of characters, but I feel like I’m reading about real people and I’m invested in their lives, which makes me want to keep going even when I am very tired. 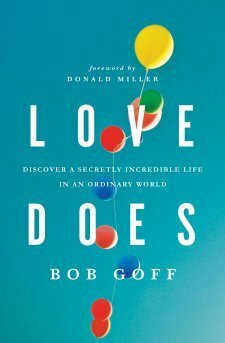 Love Does by Bob Goff. I know a few people who have read this and loved it, so I’m excited to pick it and and read about genuinely loving other people simply because they are people and we all deserve love. I think this is a perfect read for seasons of thankfulness and of celebrating the birth of Christ. It’s one of those books I kept seeing at Barnes and Noble, reading the summary, and thinking, “I really should get this book.” It took seeing a friend post a picture on Instagram saying he read it and was buying copies for everyone on his core church plant team to buy myself a copy! I know it will be a meaningful read, once I wrap up the previous three books on my list. 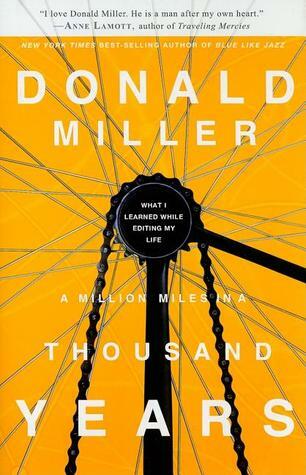 A Million Miles in a Thousand Years by Donald Miller. I was not a fan of another one of Miller’s books, Blue Like Jazz, but I know several people whom I respect very much who have read this book, or some of Miller’s other books (including Jazz) and enjoyed them. I love that this book is about telling the stories of our lives – that is what I am all about as I blog. Every person we meet has a story to tell and so often we don’t know how to share those stories. I am all about figuring how I can best tell the story that God is writing for me in order to influence people for the Kingdom of God! I also want to know how I can encourage others to tell their own stories. We need to have the community of knowing what is happening in each other’s lives – knowing we aren’t alone is so important. So this will be an enjoyable, insightful read for me, I hope! 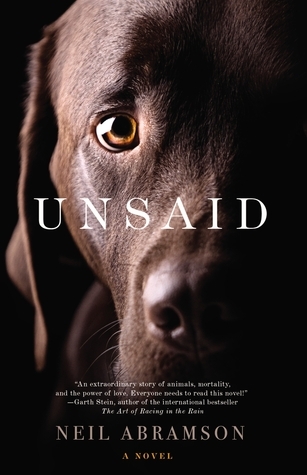 Unsaid by Neil Abramson. Ok, if you know me you know that I love dogs and I love books and I really love books about dogs. I saw this at Target and was intigued by its plot. The protagonist is vet who dies and finds herself in a sort of purgatory with the animals she had to make the decision to euthanize – and she is stuck wondering if she did the right thing for each of them. It might be much for me emotionally, because it’s been less than a year since we said had to make the most painful decision goodbye to Baytor, and there are parts of the plot I disagree with on a theological level – like the whole idea of any kind of purgatory – but I am willing to suspend my disbelief for a fiction novel. I will bring the tissues with me! What are you reading? What do you hope to read before 2014 begins? I would love to hear, and you can always hop over to Kelly’s blog to find out what others are reading!